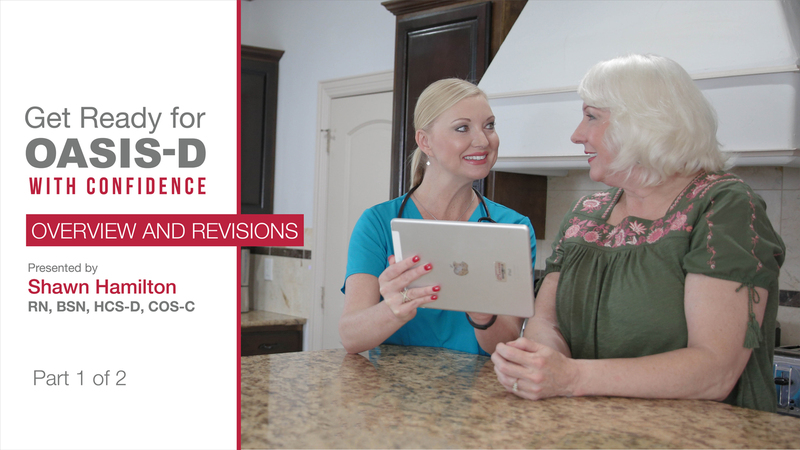 OASIS-D is coming soon to the home health industry, introducing new regulations and requirements beginning January 1, 2019. Understanding the new items and modifications in the OASIS-D assessment is essential for industry professionals to ensure accurate,high-quality data collection. As stated in the OASIS-D Guidance Manual provided by CMS, the primary reason for revising OASIS-C2 to OASIS-D is to "increase standardization across post-acute care (PAC) settings to enable calculation of standardized, cross-setting quality measures, pursuant to the provisions of the IMPACT Act of 2014. Standardized patient assessment data elements (SPADEs) are questions and response options that are identical in all four PAC assessment instruments, and to which identical standards and definitions apply."